A few weeks ago we released our new Fall collection of jewelry, Autumn Honey. And it's been a smashing hit. But for some reason, my creativity started flowing excessively and I worked up a bunch of new designs. 17 new ones, to be exact! When creativity comes knocking, you answer. You definitely don't ignore it. So, we have even more new things available now! Would you like to own some of these? Let's give away 2 $50 gift certificates! To enter just leave a comment below telling your favorite piece from this list. We'll draw random winners soon. LOVE for this child I prayed. It really is a great message! O the places you'll go! 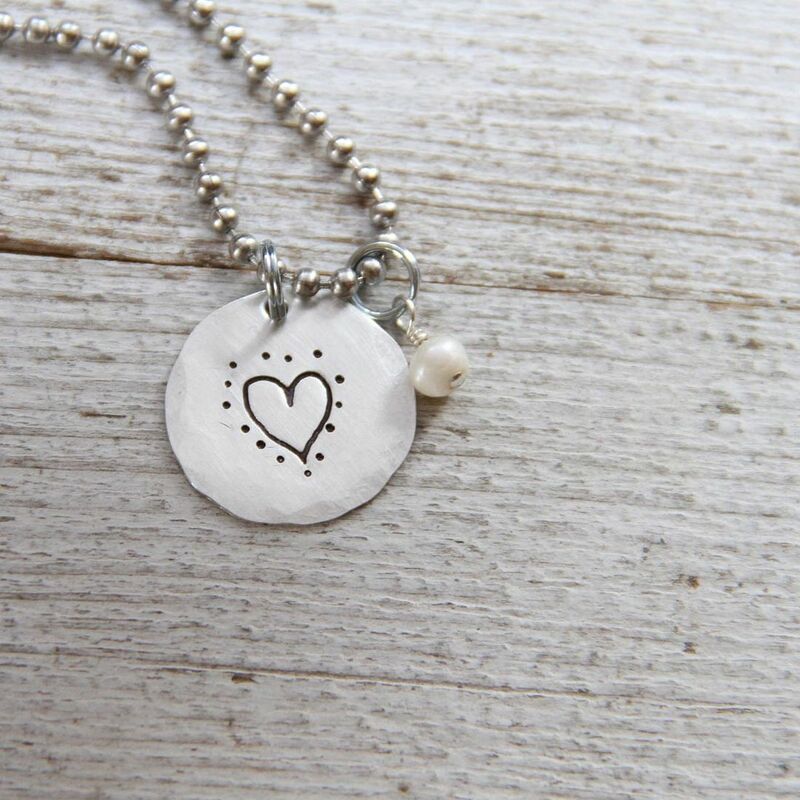 I love the Eucharisteo necklace! It's so simple and sweet! I also love My Chains are Gone. It reminds me of that worship song with the words "My chains are gone, I've been set free ..."
I love Hope and A Future! Love "Oh the Places You'll Go" especially the airplane! I love the "My Chains Are Gone" necklace! So true! Praise God! Thanks so much for the giveaway, and these are soooo wonderful! I love the "for this child I prayed" piece. It holds special meaning for our son (due Oct. 30!). I love Oh the places you'll go! "Quiet your soul." This has a special meaning for me at the moment. It caught my eye immediately. Beautiful new designs! Oh my soo hard to decide! 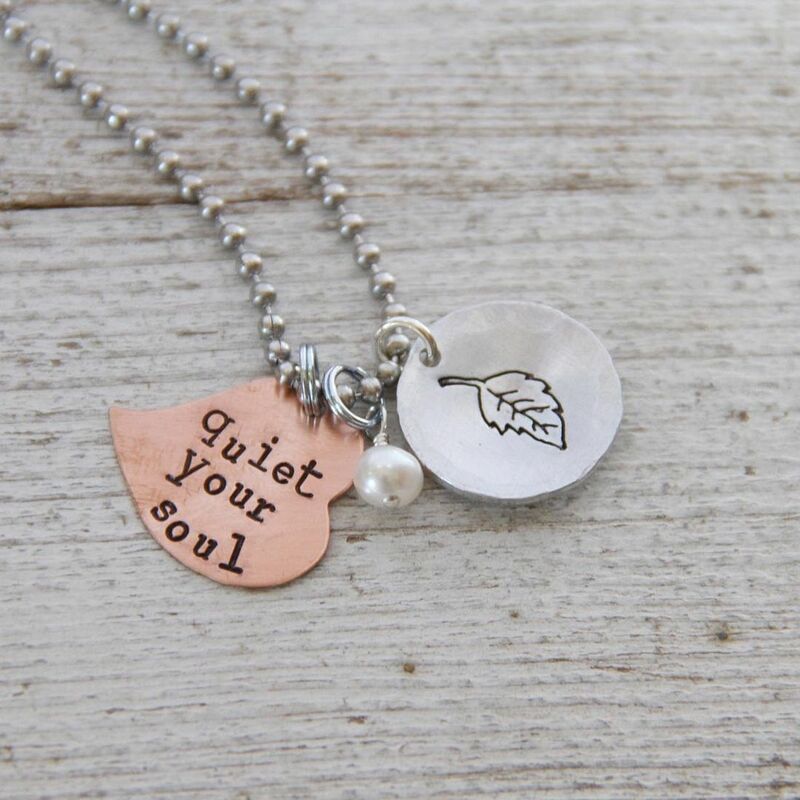 I love the Eucharisteo necklace, Make your own sunshine and the Quiet your soul one! LOVE all of them......can't just pick one....all are beautiful!!!! "Oh the places you'll go" is my fav. Nothing like travel to open your eyes. Love the Cherish Small Moments! Just one? aagghhhh! I'm going with the 'make your own sunshine. it's a powerful reminder on monday morning! Oh the places is awesome! I LOVE the Cherish Small Moments! I need the daily reminder, thank you and be blessed! What wonderful pieces! They are all so good it was hard to narrow it down to my favorite, but I did. My fav is Cherish Small Moments! Again, your work is beautiful-keep those creative juices flowing! Thanks so much! 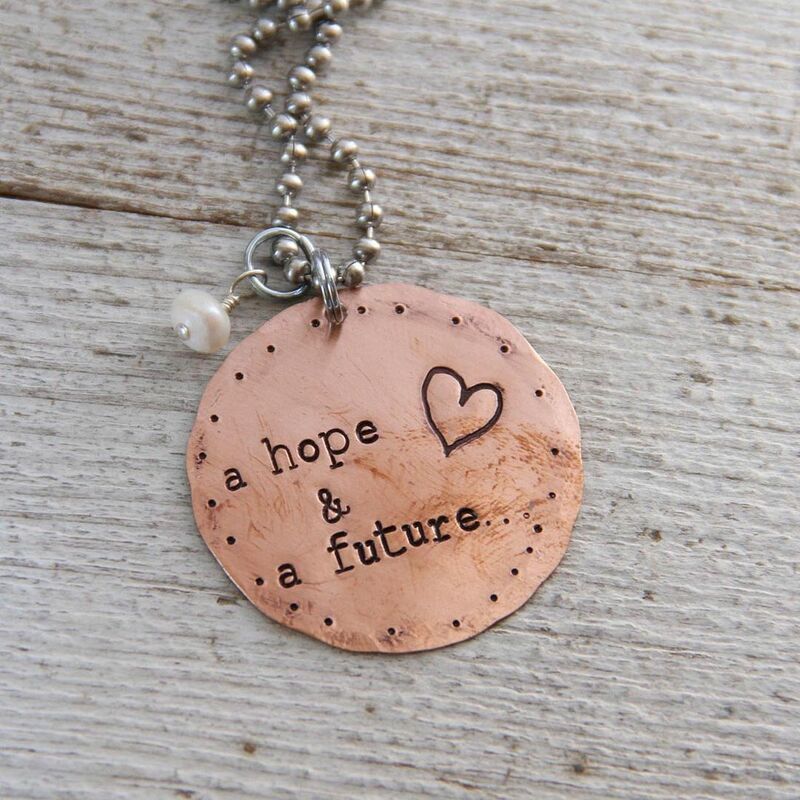 I love the Hope and a future necklace! It's so pretty and is my favorite Bible verse! I shared it on facebook!!! I have so many faves, Beki. Oh the places you'll go is a fave! 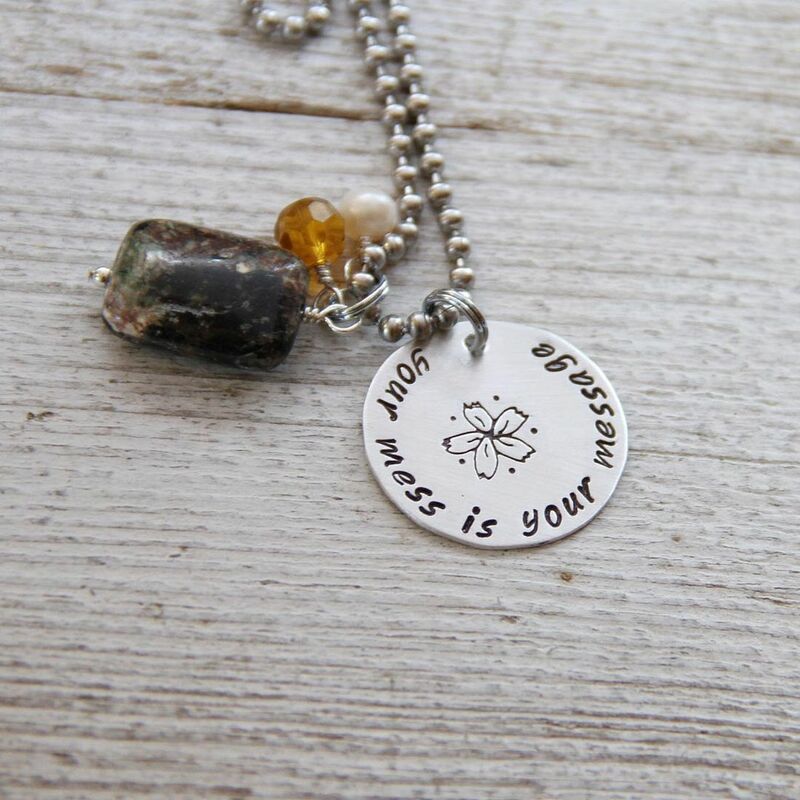 I love the your mess is your message... so true in our house! I need the Junk Queen one. I wear my Eat, Sleep, Craft one all the time and love it. LOVE "For this child I prayed." After two mc's, hubby and I are expecting our Rainbow Baby in April. We have already fought a long hard fight for this baby, and this necklace fits perfectly. LOVE it! For this child I prayed! With their initials, so sweet. I love the copper hope and future one. Love them all especially "Cherish Small Moments" because I don't think anyone does that enough. And "Dare To Be Brave" for my 11 year daughter. I am teaching her to not be afraid to be herself. So hard to pick I love - for this child I prayed, cherish small moments and also my chains are gone! "For this child I prayed" -- we are rejoicing at answered prayer as we anticipate the birth of our great niece Emma Grace! Cherish Small Moments is my fave! I love Quiet Your Soul, but it's a hard choice because I love your little sunshine stamp! Added my favs to Pinterest! I also shared your link on FB but I don't know how to copy and paste that one, so if you need to verify it, you can check my profile page. Ohmygoodnessgracious I absolutely LOVE "Make Your Own Happiness"!!!! I tell this to my friends who come to me for advice or who are just generally down and negative about things. Love. It. 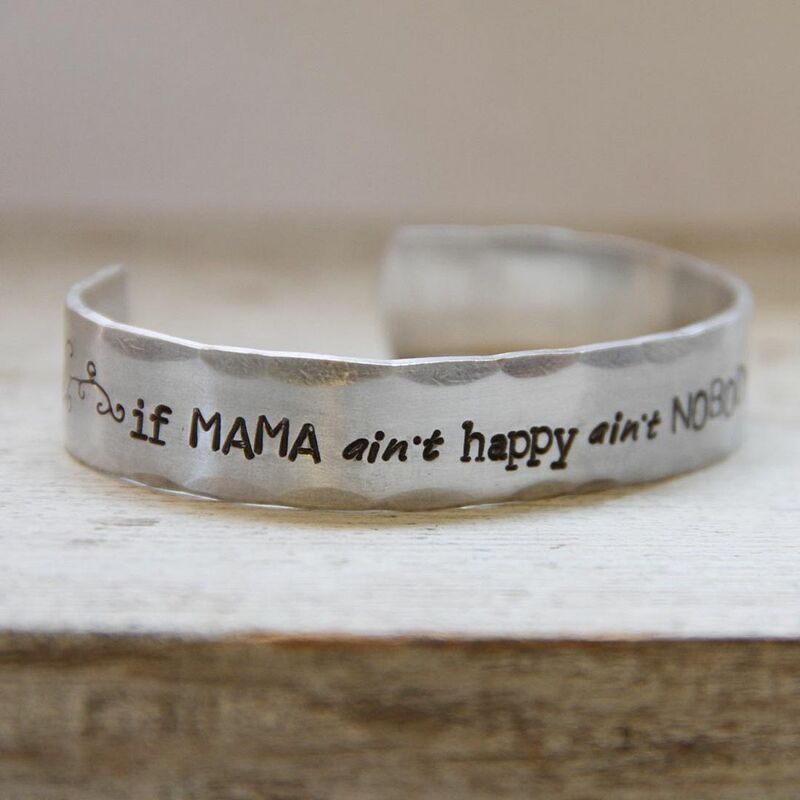 I love the bracelet hope shines brighter than the sun, but country roads...love that too! (and it makes me sing John Denver :) They are all awesome! I love Country Road Take Me Home! I have been singing that since I was little! LOVE the My chains are gone!! So true for me after this past year!!! Your mess is your message! Love!! And pinned it to Pinterest! 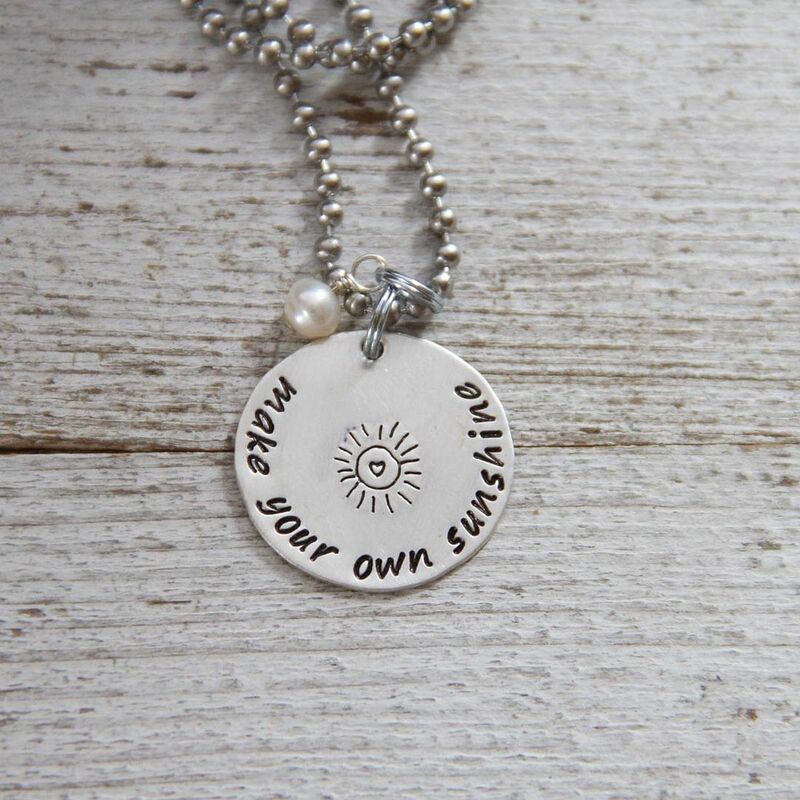 I love the Make Your Owl Sunshine necklace! 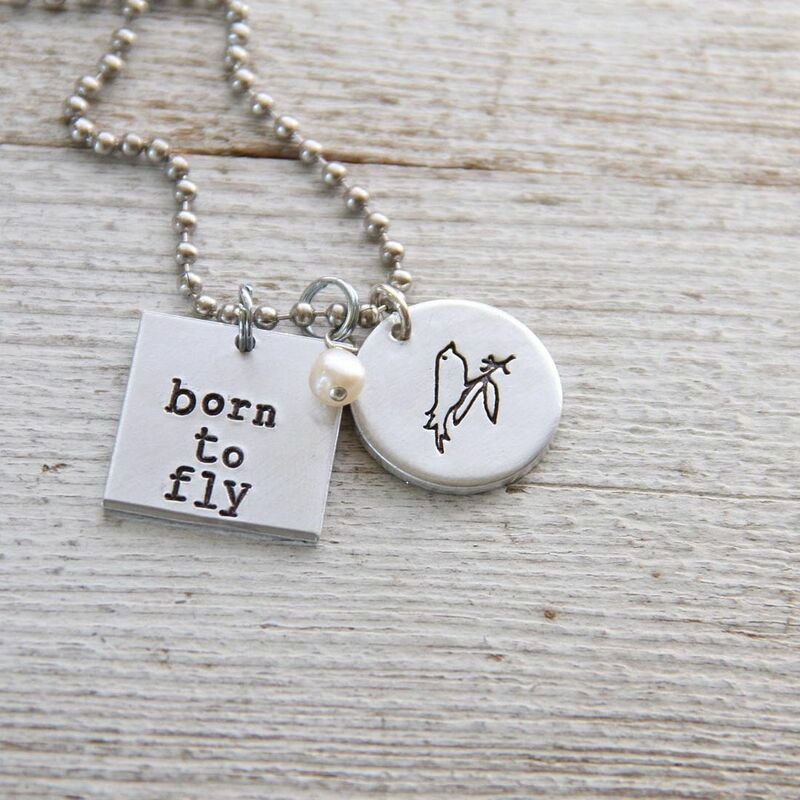 I LOVE the "For this child I prayed" necklace!!! 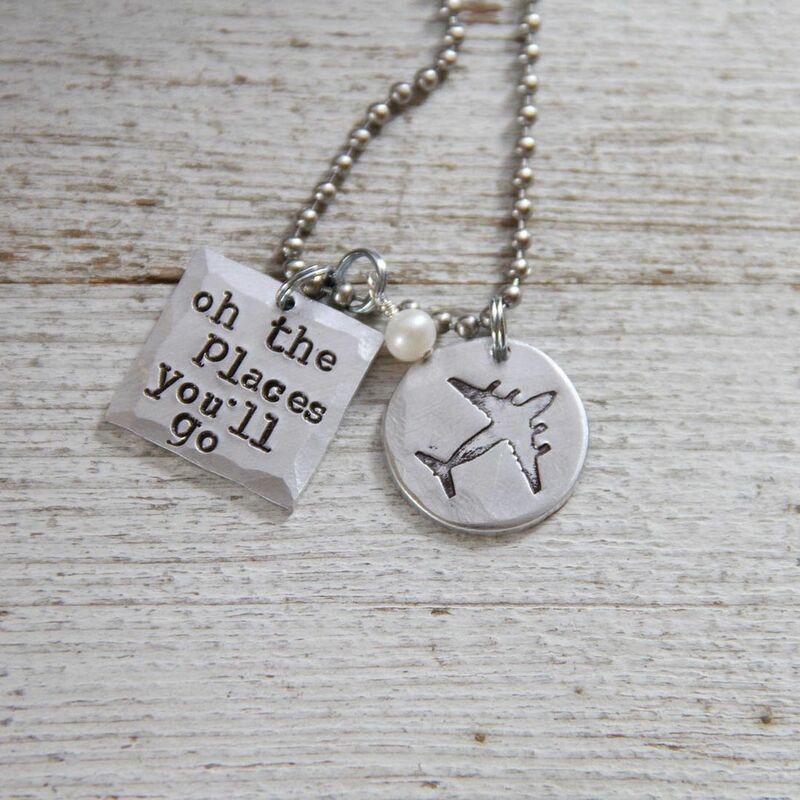 I love the 'oh the places you'll go necklace"
Such a great Dr Seuss book. So filled with excitement and hope! Definitely "For this child I prayed"
I like the "Your mess is your message." I love the heart...simple and sweet! I love make your own sunshine. So cute. 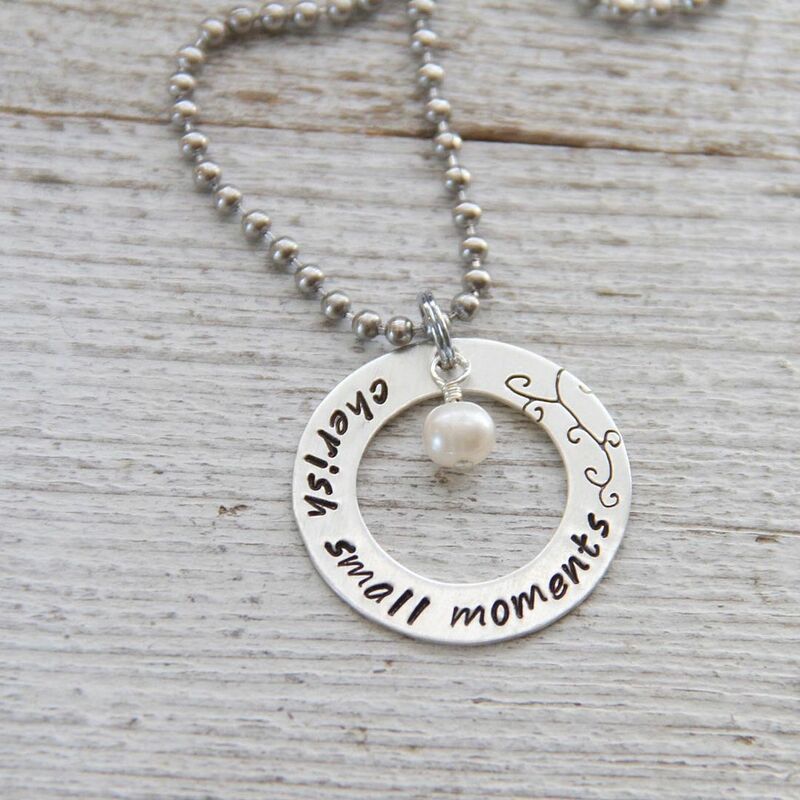 i like the "cherish small moments" design...a good reminder for every day! lovelovelove the love squared one! I like "a hope and a future"....that scripture verse is very special to me! I adore "a hope & a future". What truth and encouragement! I think it would be Oh the places you'll go! Although they are all very nice!! I tweeted about this! Love the new designs! 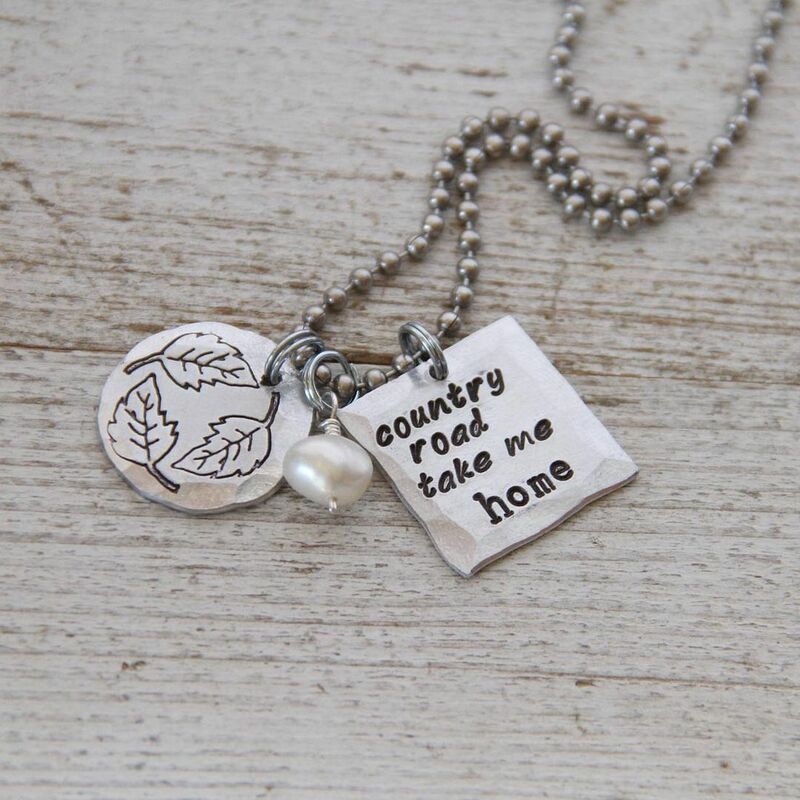 My favorite is "the places you will go" necklace. Perfect for my niece who will graduate this year from high school. 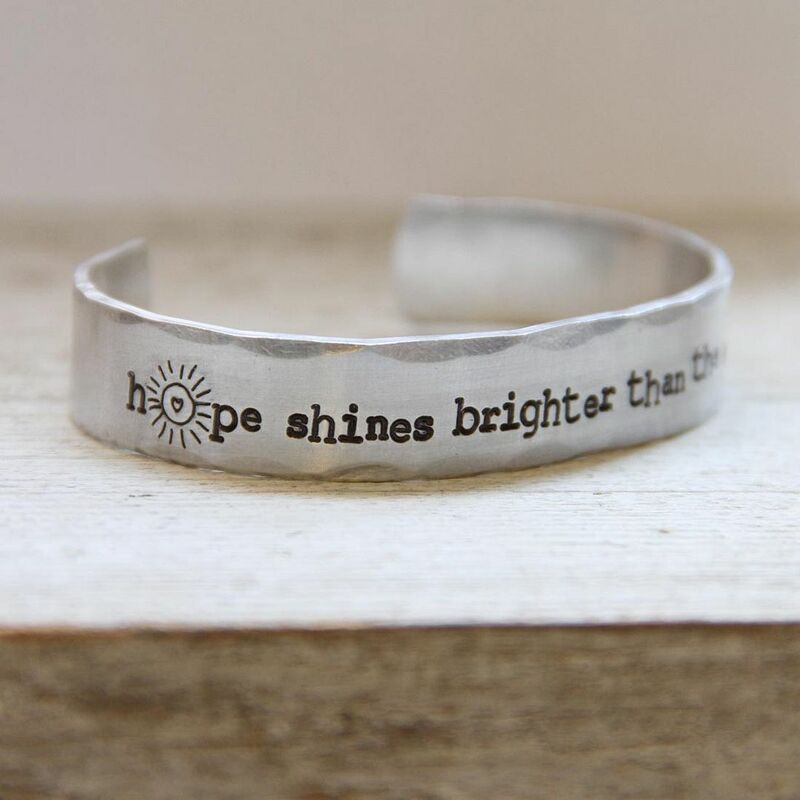 I also like the hope shines bracelet. Oh, wow. These are amazing! I LOVE the "Oh the places you'll go" one... it's a toss up between that and "Make Your Own Sunshine" at the moment. SO cool! 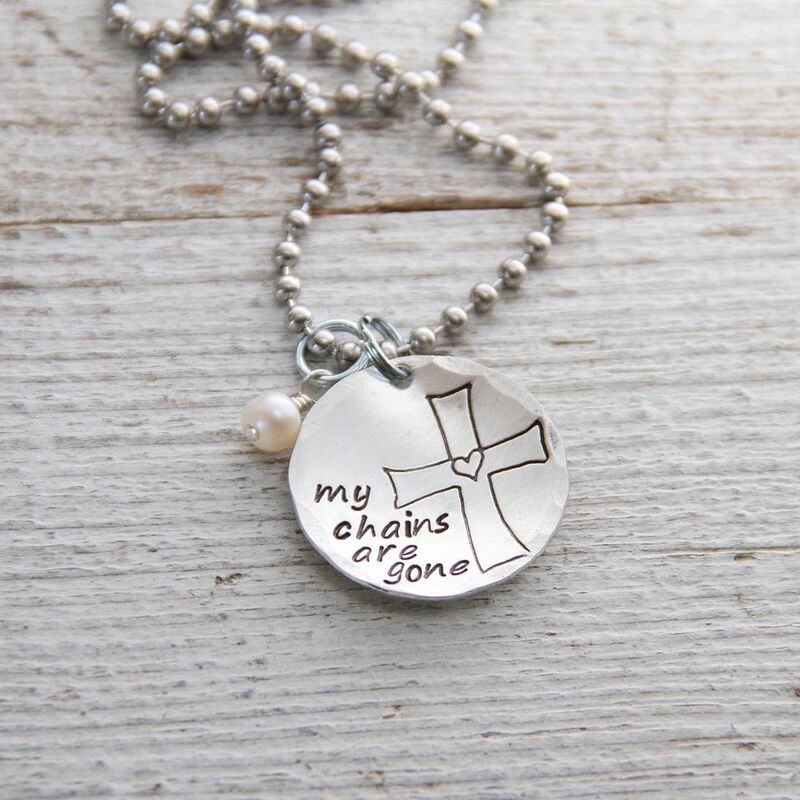 My Chains Are Gone is my absolute favorite (though I love them ALL!)! I'm going to PIN it! Love your designs! I really like the cherish small moments. Pinned the Cherish small Moments. What a great reminder. Hard to pick one... but loving the Cherish small moments necklace. So pretty! I LOVE the "For this child I prayed". I'd love to get it for my sister who has a new little guy. I love "for this child I prayed"! My favorite is the 'A hope and a future'! I love it! Love for this child I prayed and also oh the places you'll go. I would love to wear all of them, each speaks to me. Today, if I have to pick just one, I'll choose the "Eucharisteo" necklace. This Child i prayed for! I love them all but the "Junk Queen" is calling my name. I like the Eucharisteo necklace! Cherish small moments is fantastic! Kids grow up to fast, grandchildren grow up to fast and the world changes too fast! Love it!!! There are many to love! Love My Chains Are Gone! 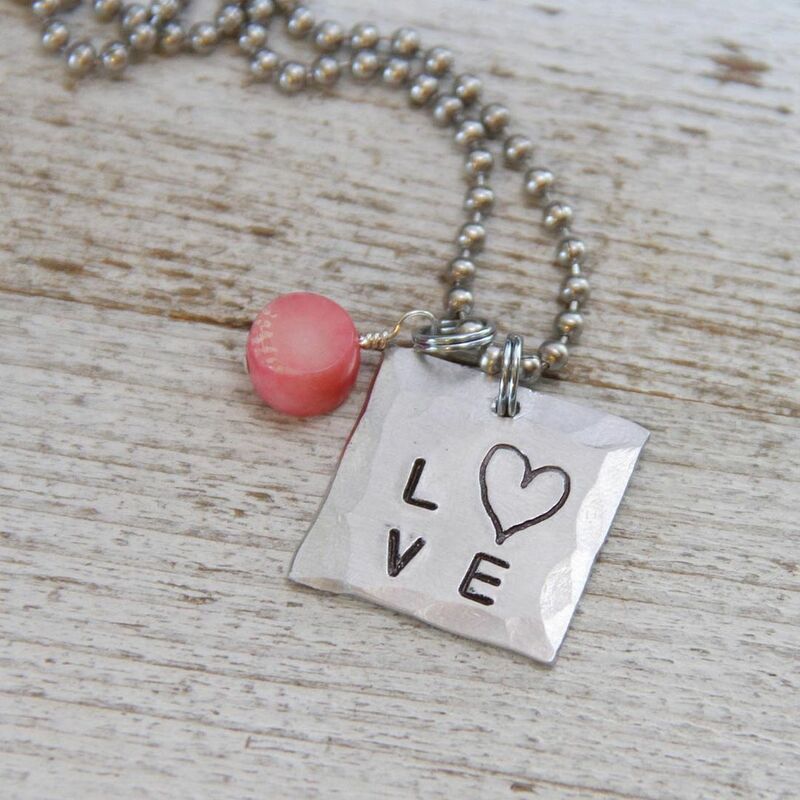 my favorite piece is the love squared necklace! I love the "for this child I prayed" ...One of my friends has tried for 3 years now for a baby. When that day comes I am giving her that necklace...and want to add to the back ..."and prayed..."
Great work! Love all of it! My favorite is Quiet Your Soul! Lovely! Oh, the places you'll go...I love it. Because I really have been a bunch of places all over the world. I hate the traveling, but enjoy the places and people. The "For this child I prayed..." takes a close second. Great designs! Cherish small moments. I need this reminder daily! Love the Eucharisteo necklace. Great new designs! Cherish Simple Moments is my favorite is I have to pick just one. I LOVE a hope & a future. One of my favorite verses. Love all of them! Would love to win "country road take me home" for my sweet 17yrold girl. We moved to MO from Phl last yr & she has learned who she truly is! She LOVES driving on the country roads that take her "home" in more ways than one :) I re-tweeted & fb'd thanks again for the opportunity!! God bless! For this child I prayed. I have this verse hanging above my son's crib. I've never prayed harder or more often for anything than I did for him. God has blessed me in so many ways through this child. Thanks for the giveaway Beki! Hope shines brighter than the sun! Oh I love the cherish the small moments one! Beautiful! My fav is the Eucharisteo necklace. I love the hope and future piece. That's straight out of my life verse! I'd have to go with Cherish Small Moments. Happy Monday back to you! 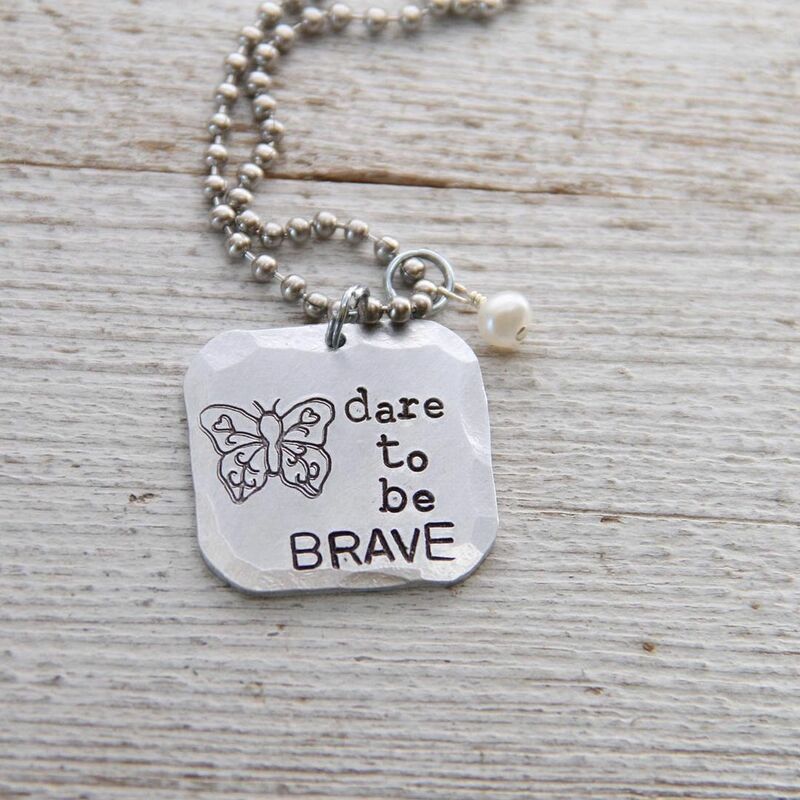 I love the Dare to be Brave necklace. Pick me please. God has been sending me lately to places I never even thought I would see and the charm "Oh The Places You Will Go" is perfect! It's such a great reminder to show how lucky and grateful I am. Oh and I def. pinned this to! Make your own sunshine...this is something i have to do a lot!!! 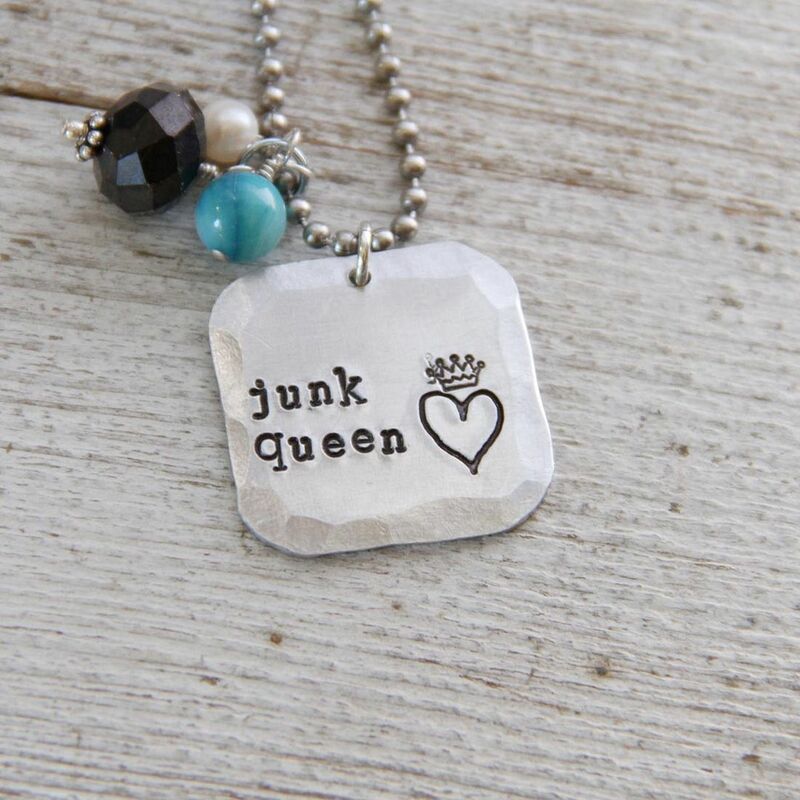 I pinned the Junk Queen necklace to my Pinterest board "Just My Style"
I like the My Chains are Gone necklace. I have posted this give away on Face Book! LOVE the hope and a future... the sunshine bracelet... eucharisteo... my chains are gone (although the first time I read it I saw "my BRAINS are gone." Which might be true, apparently)... the sunshine necklace... and the country road (I might have busted out a little John Denver). Love them. Love you. Love spending time with you. :) Can't wait to do it again soon! I would love to have one of the bracelets but my favorite is the my chains are gone with the cross!!! It is AWESOME!!! But then all your desgins are!! I love all your designs but my favorite is Quiet your Soul. If we are quiet we can discover our true purpose. I think that is the best gift He gives us, our true purpose. Fabulous giveaway!!! I love the "for this child I prayed" necklace. I love My Chains are gone! The Song Amazing Grace (My Chains are Gone)by Chris Tomlin was playing at my cousin's funeral who passed 6 months ago..It reminds me that she is at peace in heaven with Jesus! Thank you! Love, love, love my chains are gone! I've been going through some difficulties so there are a few designs I really like that seem fitting. Dare to be brave is one. I really like the country road one too. They are all beautiful! I love them all,but Dare to be Brave is my favorite! Love them all! But I do think I need the country roads one. 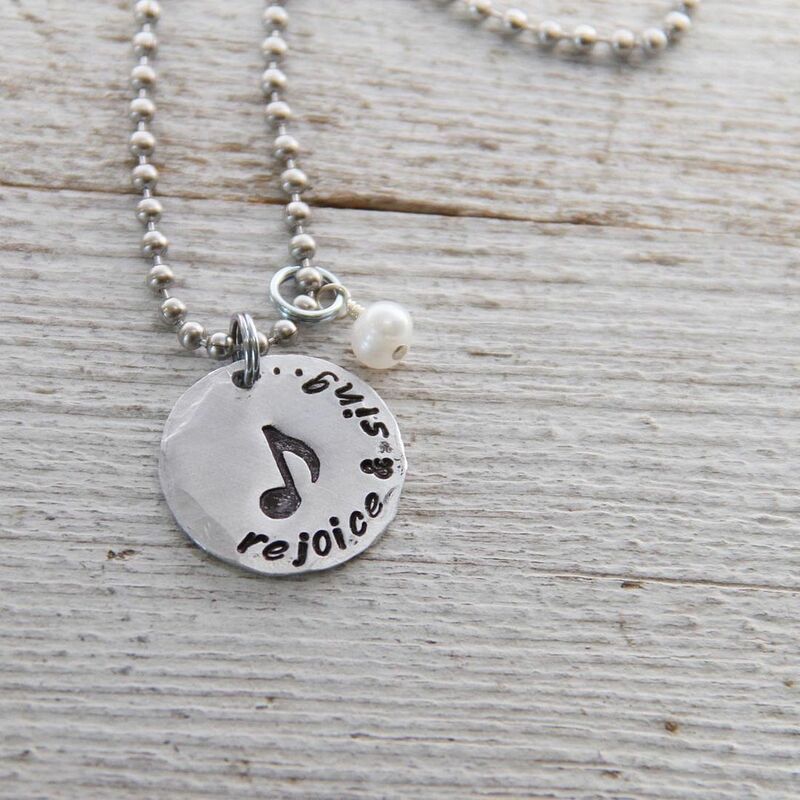 I love the dangling bead on these charms. My fav is "for this child I prayed" It makes me think of my friend who went through so much to have her beautiful children. Love them all but, I like the Oh, The Places You Go and Quiet the Soul. Oh my goodness!! I would be very happy to wear many of these, but I love the Hope bracelet. It's perfect for me! I love, Love, LOVE, love L.O.V.E. the My Chains Are Gone. I love them all! My favorite is Junk Queen :) My friend and I are coming from Arkansas to your barn sale! We can't wait! I love the junk queen one.